A plan to redistribute federal money among all of Florida’s hospitals will be delayed at least a year, legislators announced at a joint Health and Human Service budget conference committee meeting on Monday. 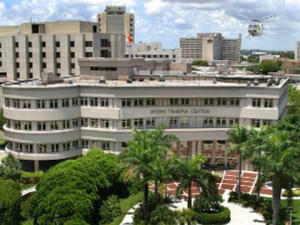 The so-called “tiering” plan would be a significant blow to the state’s 14 safety-net hospital systems, such as Miami’s Jackson Health System, which had been bracing for a $140 million cut to its budget, and the state’s two free-standing children’s hospitals, which were prepared to lose a combined $17.6 million. Several legislators previously said they had problems with how the 2011 Medicaid reform law was calculated to deal with Medicaid payments from the federal government. Specifically, it would use the federal matching money, tied to a handful of county taxes, and share it among every hospital in the state that treated Medicaid patients. In the past, nearly all the federal money went back to the specific counties that issued the tax, primarily urban areas such as Hillsborough and Miami-Dade Counties. These communities are home to safety-net hospitals, which serve a disproportionate number of the state’s poor and uninsured residents and had received much of the money. Ron Bartlett, spokesman for the Safety Net Hospital Alliance of Florida, said had the calculation kicked in on July 1, it would create financial chaos among the hospitals. It’s just one of several massive changes to the way hospitals are being paid for treating the state’s poorest and sickest residents, he said. The plan had been part of the state’s 2011 Medicaid overhaul. But Rep. Matt Hudson, R-Naples, and Sen. Denise Grimsley, R-Sebring, said the delay will allow the state to complete a more thorough study of existing Medicaid funding, according to the Times/Herald Tallahassee Bureau. --Health News Florida is part of WUSF Public Media. Contact Reporter Mary Shedden can at (813) 974-8636, on Twitter @MaryShedden, or email at shedden@wusf.org. For more health news, visit HealthNewsFlorida.org.